There are plenty of wedding-day traditions out there that brides and grooms around the world adhere to, but two relatively new traditions for couples on their wedding day have cropped up in recent years, and both are proving to be a big hit: underwater photo sessions and trash the dress wedding photography. If you’re planning a destination wedding in Puerto Rico, and you’re looking for a unique way to capture your big day on film, consider an alternative wedding photography theme, courtesy of one of Puerto Rico’s talented local wedding photographers and videographers, including Jose del Valle, Vanessa Vargas, Vanessa Knapp, Javier Olivero Photography, and Luis Asencio of Innova Video. Trash the dress is a style of wedding photography that contrasts elegant clothing – i.e. your wedding dress – with an unexpected environment, such as the beach. But trash the dress isn’t your typical beach wedding photography session; most brides understand that their wedding dress will get wet, dirty, and may even be ruined (hence “trash the dress”), but for the sake of beautiful wedding-day memories that you can look back on for years to come. Underwater wedding photography is slightly less extreme than a trash the dress session, but is equally memorable and fun to look back on after your wedding day. For your upcoming Rincon Puerto Rico wedding, consider taking full advantage of our pristine beaches and crystal blue Caribbean waters by scheduling an underwater photography or videography session today. 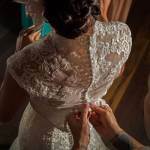 Jose del Valle is a wedding photojournalist and artistic photographer known as the first to feature freestyling in his wedding photography sessions. Jose specializes in wedding-day photo sessions and can incorporate unique themes like underwater wedding photography into your big day. Visit Jose del Valle’s wedding photography website at www.josedelvallephotographer.com. Vanessa Vargas is one of the top wedding photographers in Puerto Rico, offering newlywed couples some great alternative themes for their wedding-day photographs in Rincon PR. Check out some of Vanessa’s wedding photography sessions at www.oochel.com. With her unique take on wedding photography, Vanessa Knapp can help you capture some of the best moments from your big day with gorgeous wedding-day photos. Visit Vanessa Knapp’s wedding photography website at www.knappphotography.com. Javier Olivero is widely known as one of the best destination wedding photographers in Puerto Rico, injecting a combination of photojournalism, editorial and fashion photography into his wedding sessions. Visit Javier Olivero’s website at www.javierolivero.com. 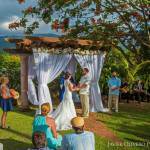 Luis Asencio of Innova Video is known for his artistic, creative and fresh approach to wedding videography in Puerto Rico. Capture the most important day of your life on video with an affordable and professional Rincon PR wedding videographer that specializes in alternative wedding themes like underwater videography. Visit the official Innova Video website at www.innovavideo.com.